Upgrade your European power cord with a USA power adapter for the Mediabox IPTV box. It also works for the ATN IP box and the new BEST TV box. A full 8 feet in length provides plenty of distance for your Mediabox to reach a wall outlet. It's designed specifically for the Mediabox and ATN and BEST TV boxes. It does not use add on tips or adapters, it is a genuine official US IPTV product. 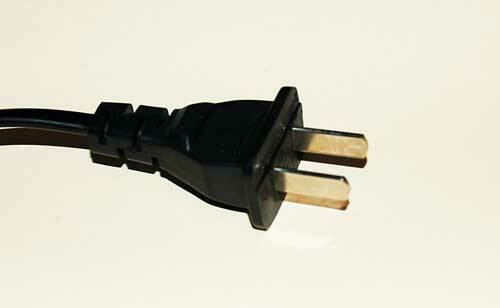 The AC to DC transformer on this model is in the middle of the power cord instead of at the wall plug. This makes it easier for you to plug your cord into a wall strip without taking too much room. Also please note, these are shipped in bulk, and don't have individual package for retail display. They are however A+ quality and brand new, and they have a secure fit into US outlets.